This past November I had the thrilling adventure of attending a veterinary conference in Washington DC to further my knowledge as a veterinary nurse. While there I found out some interesting information that was food for thought for our clients who travel to the USA through out the year. I thought I would share my experience and information with you to help assist anyone further with their travels. While out for dinner one night with a vet from Chicago I realized I had a mosquito bite! Shocking for us Canadians as we don't think of mosquitoes much past September. However, the veterinarian I was with actually said that their mosquito season would be going on for another 2 weeks at least and it was still warm enough for transmission of heartworm. The next day at one of my talks the internal medicine specialist actually brought up the exact same discussion in one of our sessions. She showed demographics of some of the southern states now pretty much having a year round mosquito season! I was shocked as I saw places I know clients regularly go to as snow birds. Another interesting part of her talk was specific cases of heartworm on indoor only cats - mosquitoes do get in! My recommendation if you travel to the US with your pet; contact a clinic in your area to find out the risk of ticks, mosquitoes and other parasites at the time of travel. 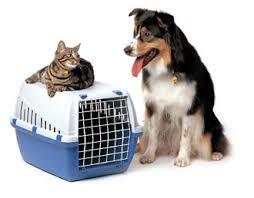 Always keep a detailed travel history of where your pets have been when leaving home and travelling. Why you may ask? Certain respiratory & skin disorders are caused by rare fungi that we seldom see in Canada but are very prevalent in some states; this travel history becomes very important to us if your pet doesn't respond to therapy. My very first session I attended was a update from the American Veterinary Medical Association (AVMA) on compounding rules and prescription laws in the US. Actually quite fascinating as things are shockingly different on a few aspects compared to Canada. I asked if the AVMA had a stance on cross boarder/ or out of country prescriptions. At the time of this article they have no stance, each veterinary clinic in the US sets their own policies and procedures on prescriptions such as this. The general consensus was from the clinic owners I spoke with was that they would not fill the prescription with out an exam BUT while doing this research I found out places like Target, Walmart and most of the chain pharmacies in the US carry veterinary medications. The other alternative is the wide number of veterinary compounding pharmacies in the states can fill prescriptions from Canada for travelling pets. 2) have written copy of the prescription in case you lose your pets meds and need an emergency refill. 3) obtain copies of your pets last health check and blood work, just in case you do have to see a vet down south to refill medications. This was something that all of the practitioners said they wished more travelers had with them when dealing with emergencies or refill requests. 4) if your a regular traveler and frequently going down to the USA often, consider to then establish a basic veterinary-client patient relationship with a clinic in your area so have access to immediate resources if needed.